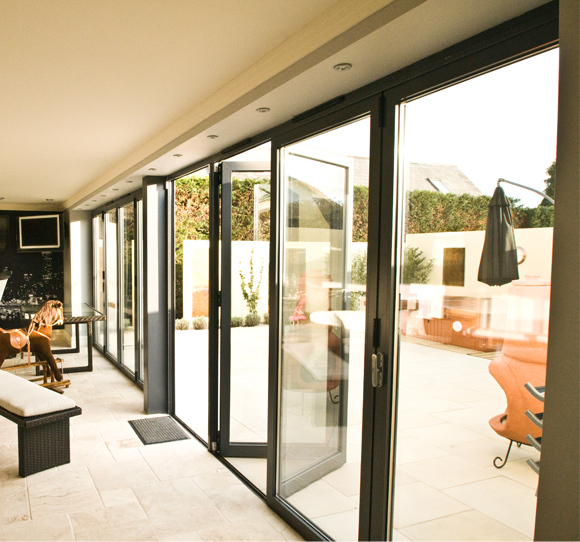 Maximise space and light in home refurbishment and commercial projects with aluminium bi-fold doors. 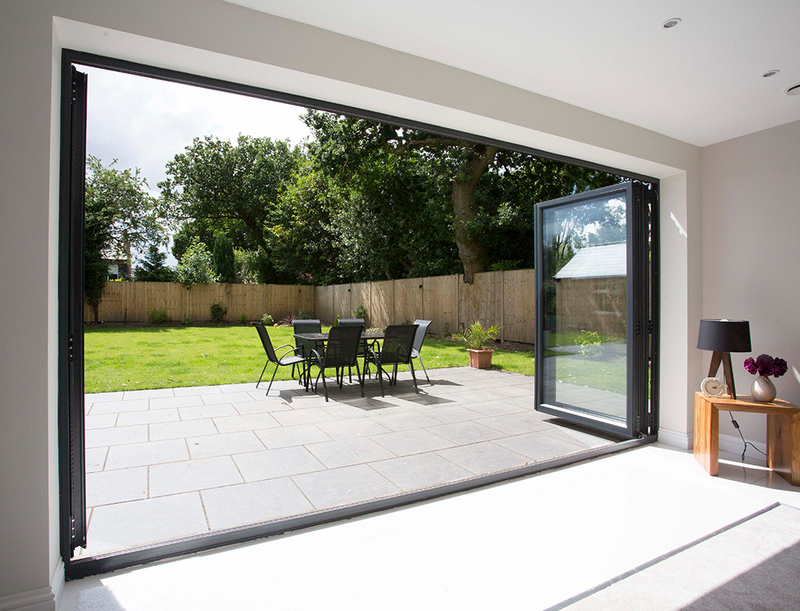 Slimline frames, a durable design and an array of colour options make aluminium bi-fold doors the perfect home improvement product. 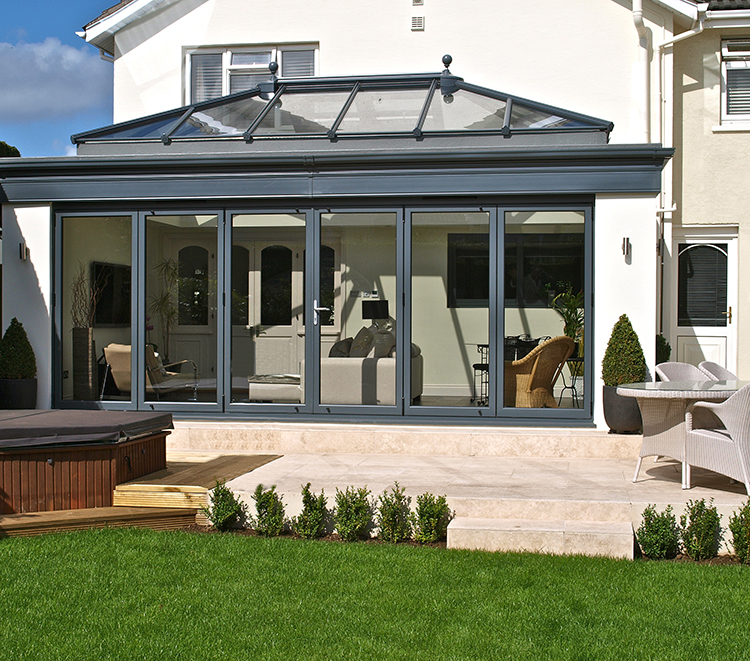 Buying aluminium bi-folding doors from Framexpress is different. 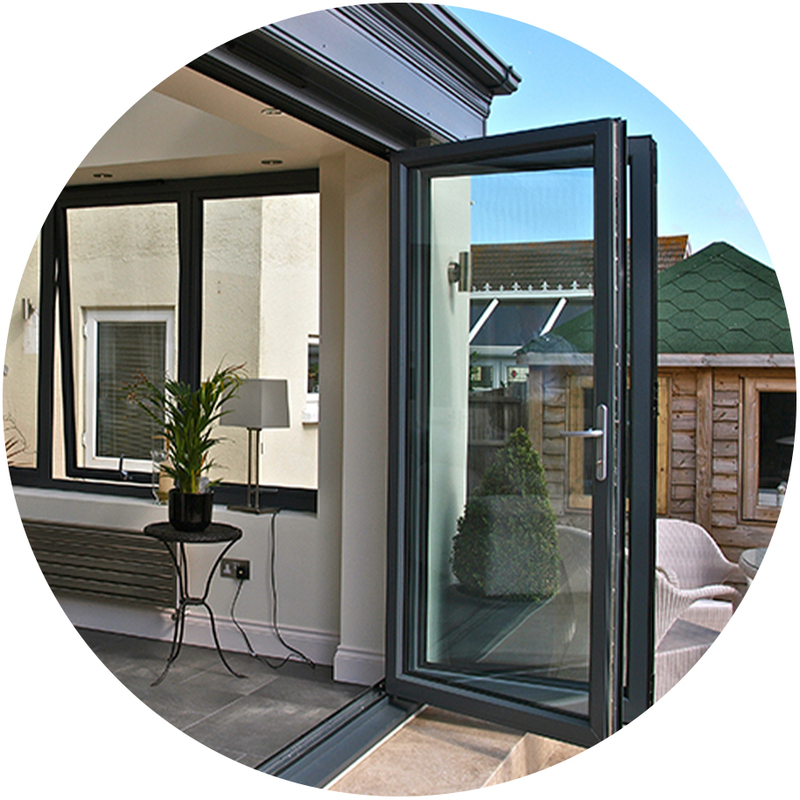 We work with the aluminium experts to create a quick and efficient service that you can rely on every time. 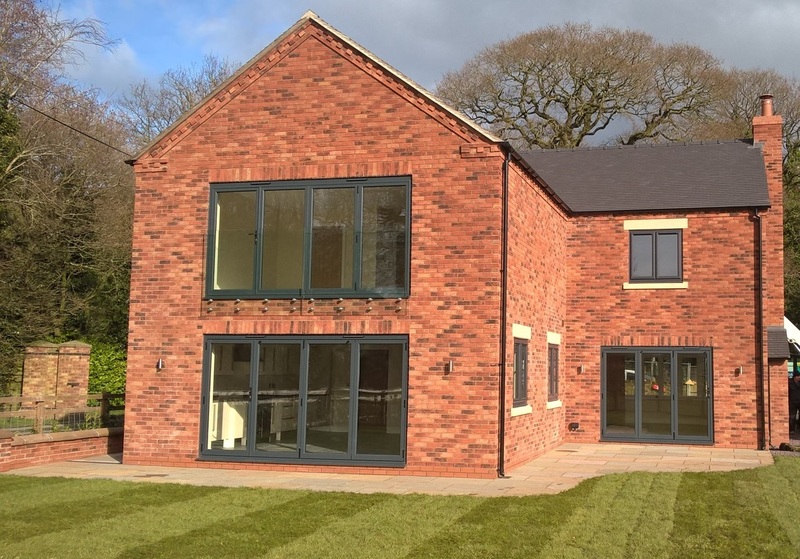 Our full aluminium range, including aluminium bi-fold doors, sliding doors and windows can be delivered directly to you in only 1 week unglazed and 2 weeks unglazed. 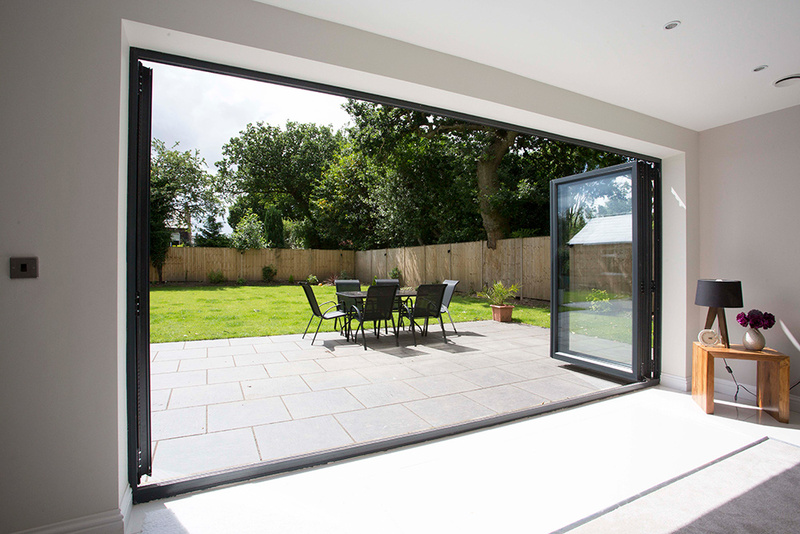 Aluminium bi-fold doors feature sleek, slim frames which help to maximise on glazing areas and make the most of outdoor space. 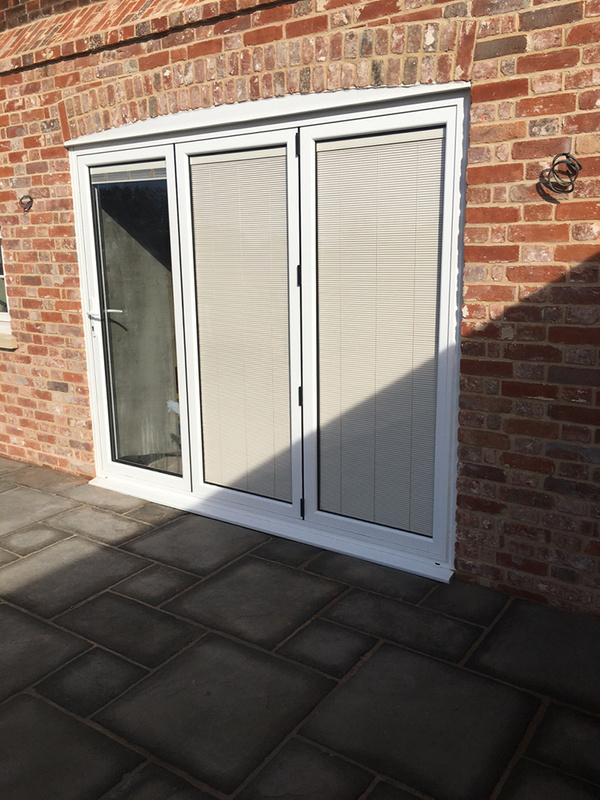 Featuring up to 17 configurations of opening styles and individual door pane sizes of up to 1.2m wide and 3m tall, the design possibilities are endless. 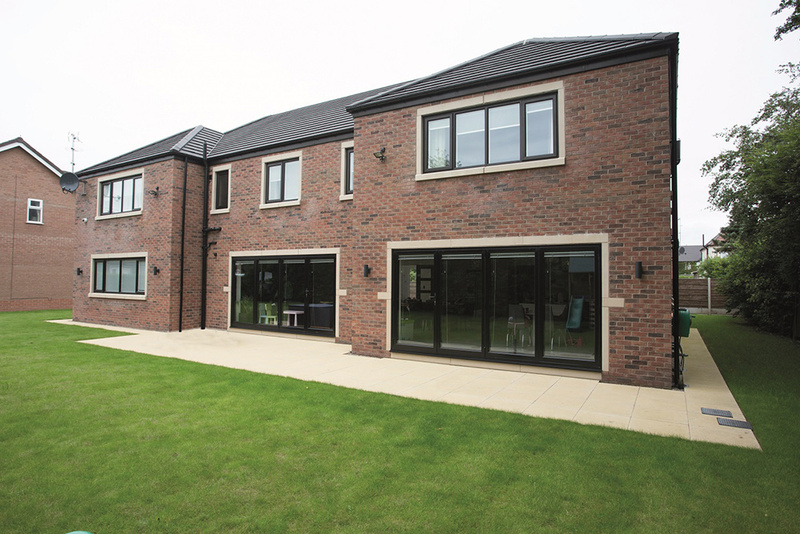 Aluminium bi-fold doors are manufactured with top quality components to ensure that the highest security levels are met. 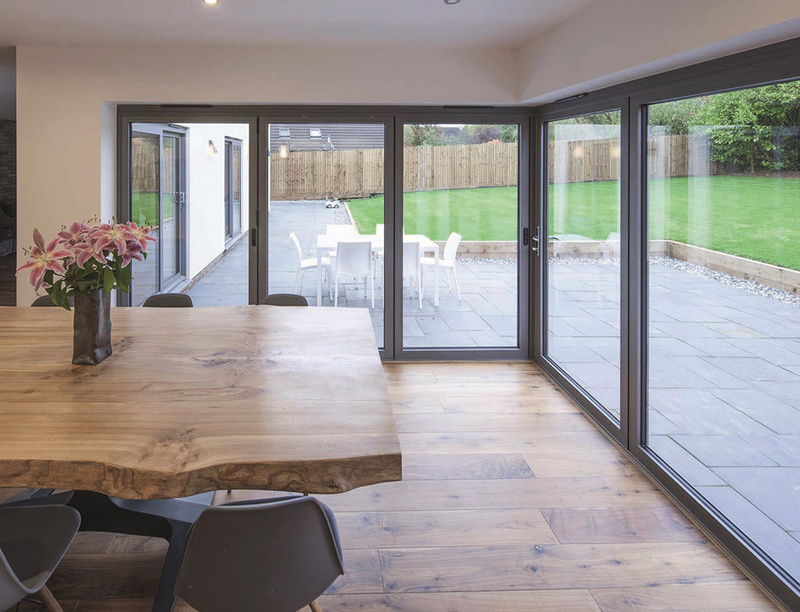 To complement the robustness of the door, toughened glass is featured on all standard units and multi-point locking is included on all our aluminium bi-fold doors. For an added layer of protection, there is the option to upgrade to a Secured by Design police preferred specification, just ask us for more information. 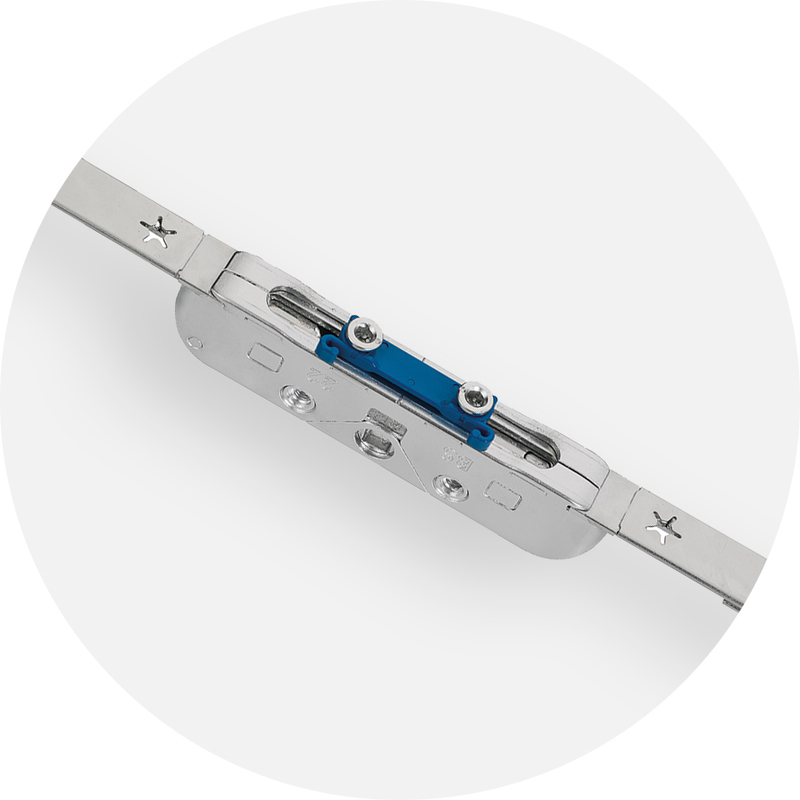 To complement the sleek and stylish doors, it’s only right that we offer ultra-modern hardware options too. 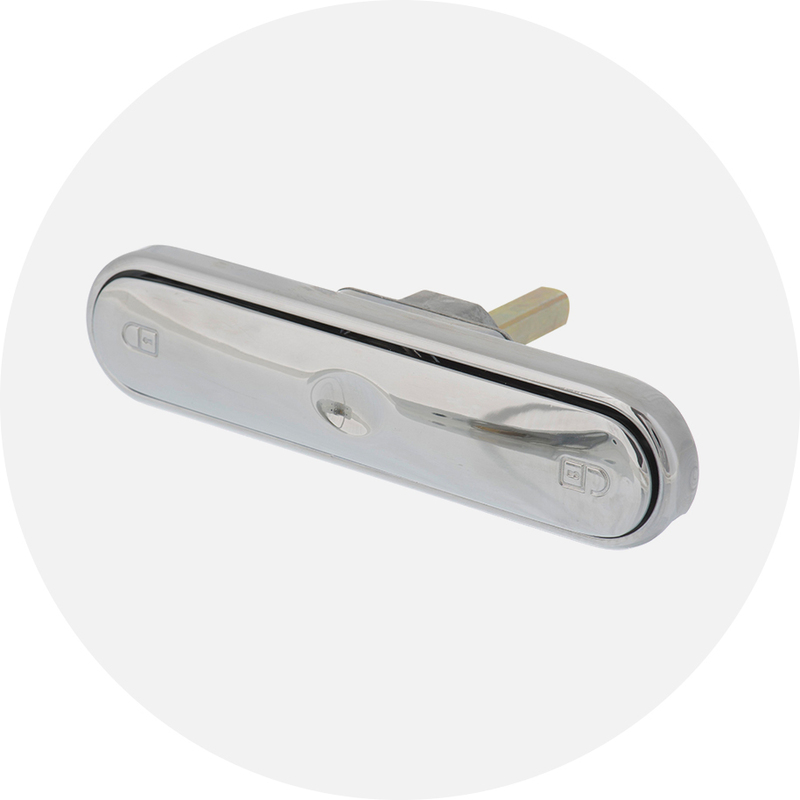 You can choose from a spring loaded ‘T’ handle or the Hoppe Atlanta lever door handle, both available in black, white, silver and chrome. 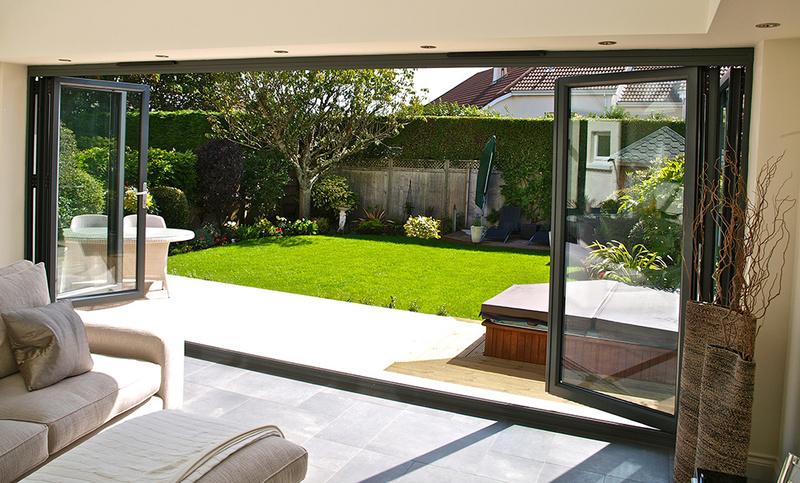 The aluminium bi-fold doors also feature easy-glide rollers for a smooth and lightweight operation. Any other RAL and B.S. 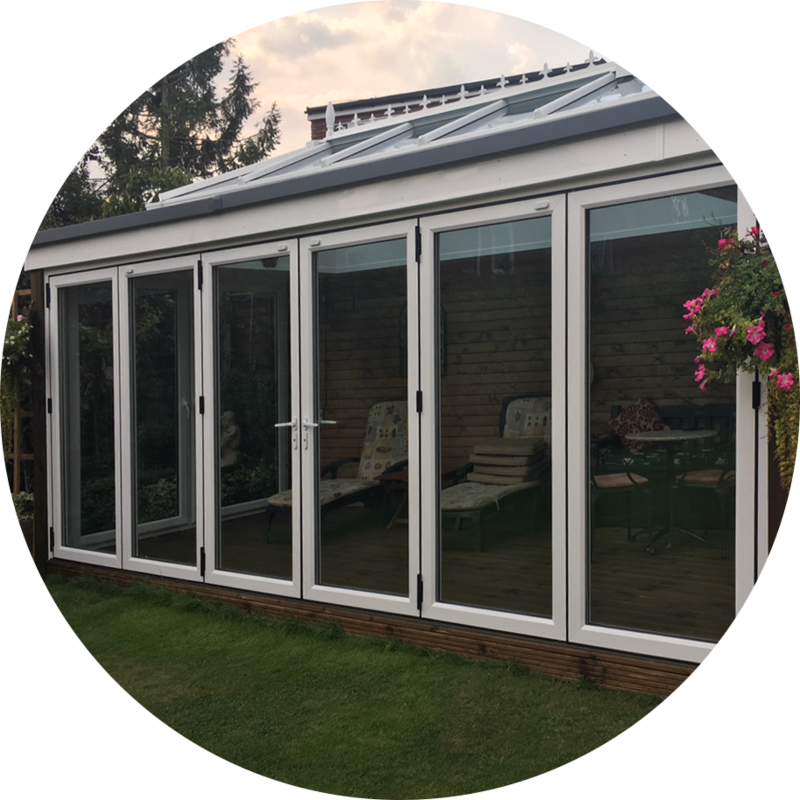 single or dual colours are available to create a truly bespoke aluminium bi-fold door installation with fast lead times.